The U.S. court has ordered Silicon Knights to destroy all unsold copies of video games using Unreal Engine 3. 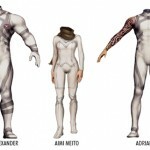 There is no downloadable content for the Emma Frost suits. They are already a part of the game! Check it out! 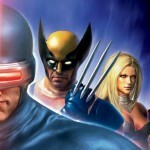 Emma Frost in the "X-Men: Destiny" video gameis featured on the box art, along with several other X-heroes and villains. Emma Frost is shown in gameplay footage for "X-Men: Destiny." Screenshots included.